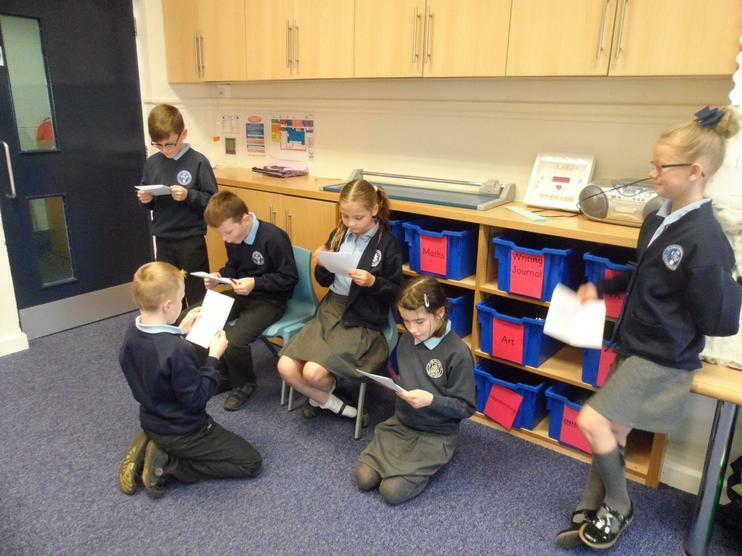 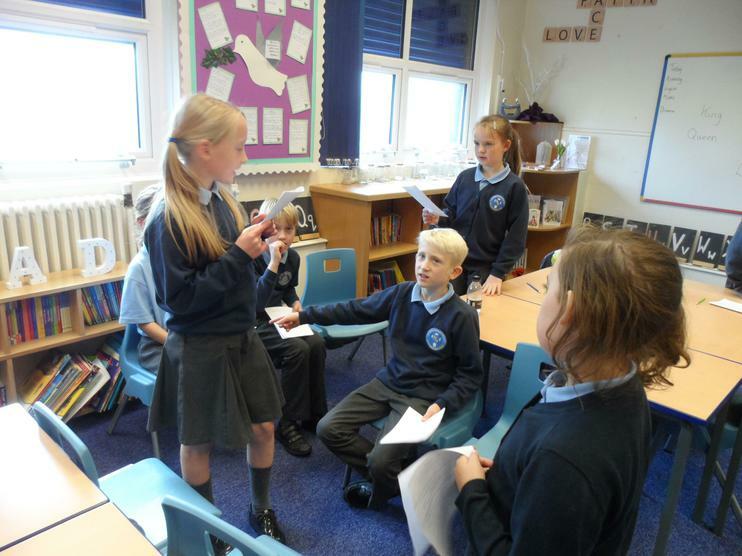 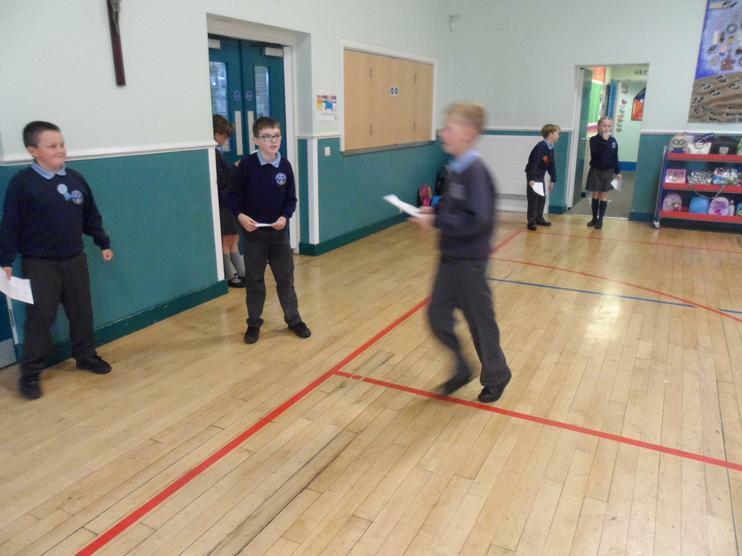 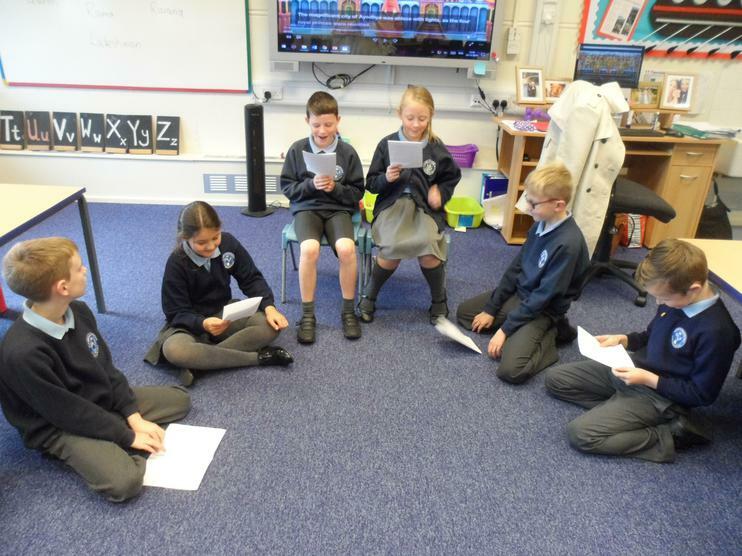 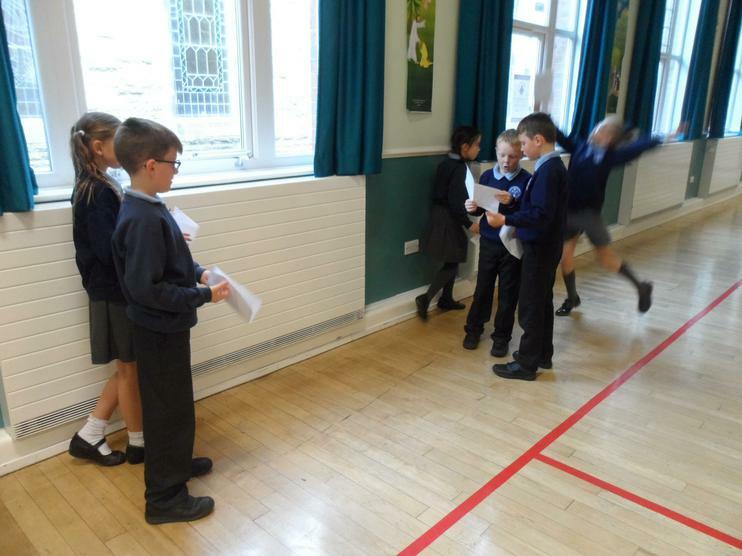 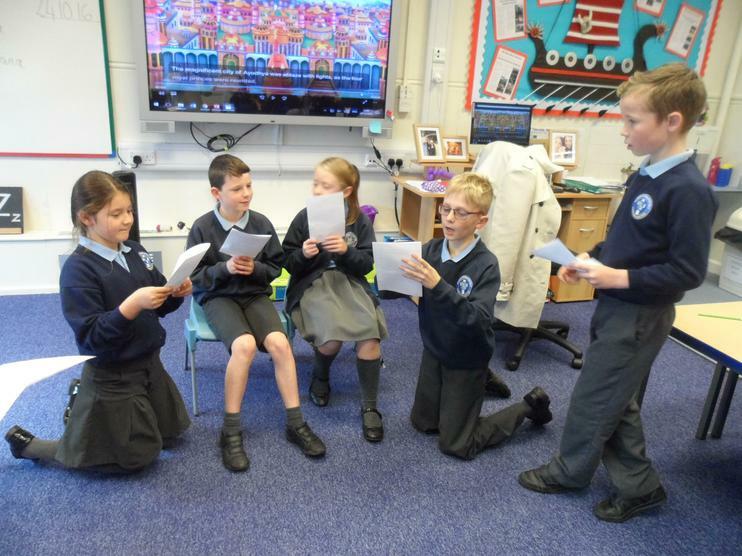 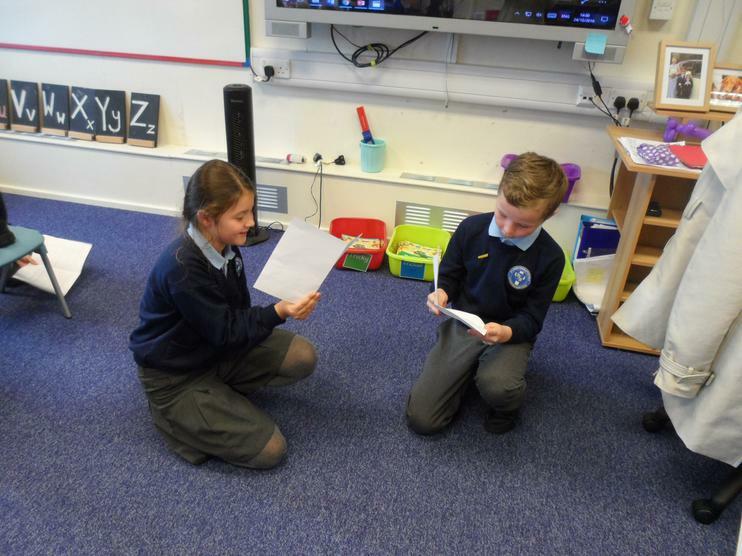 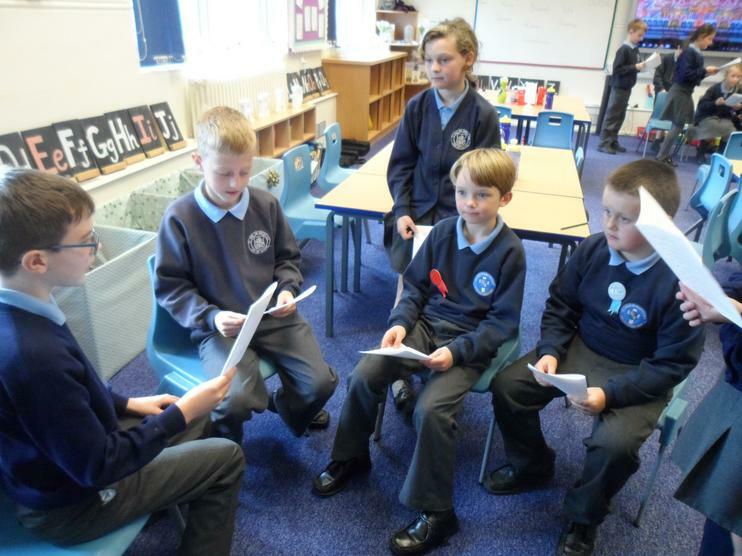 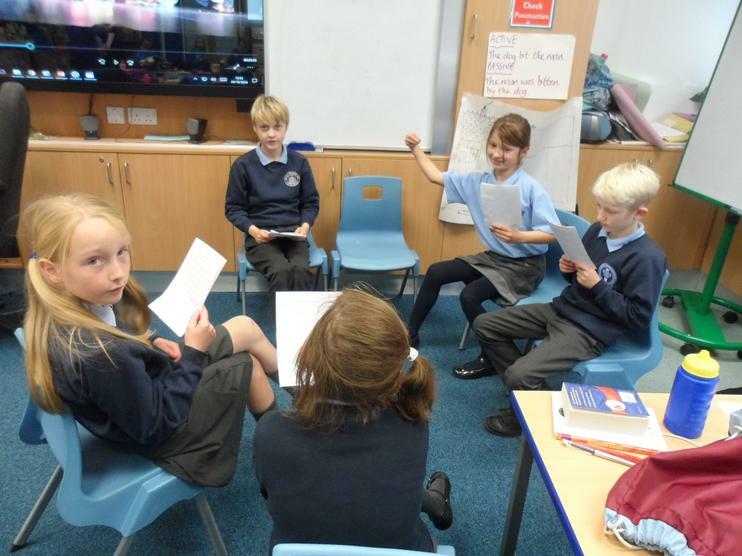 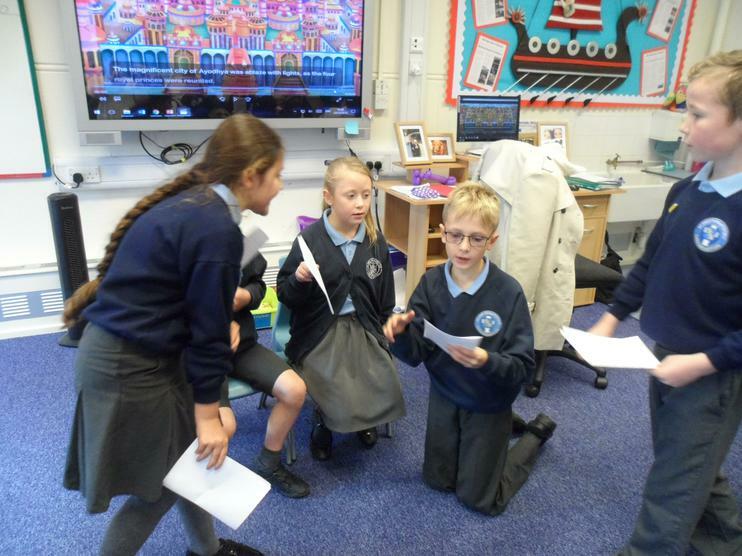 We spent the afternoon learning about the story of Rama and Sita and then acted it out. 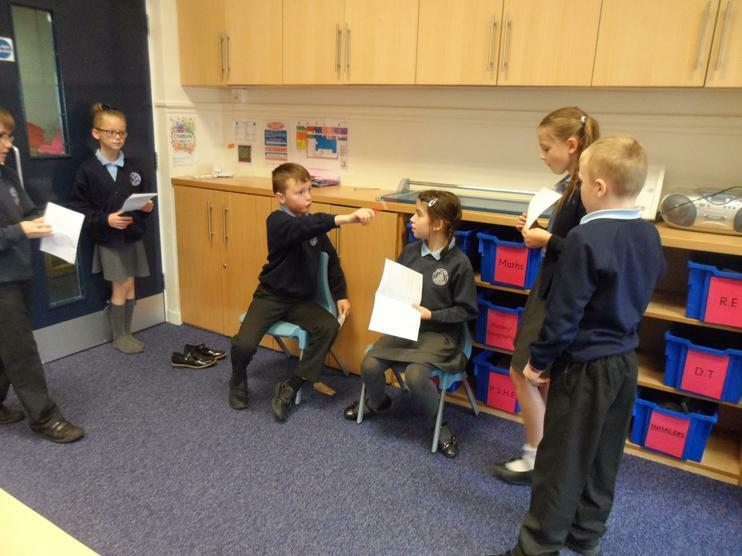 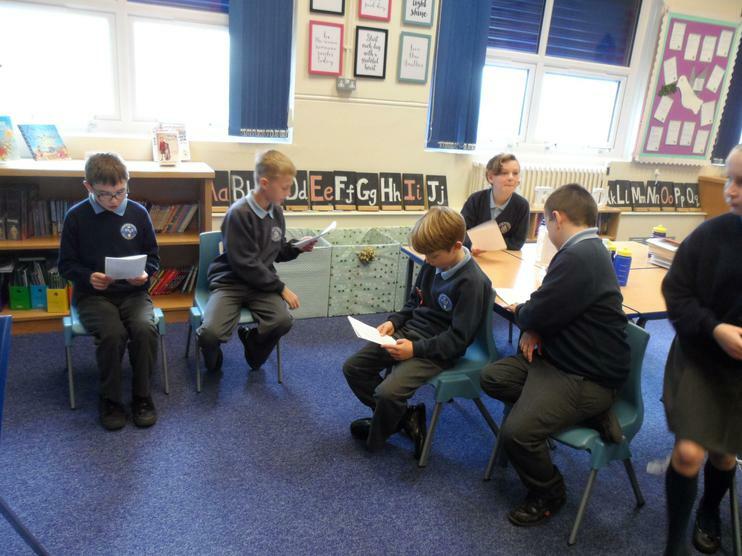 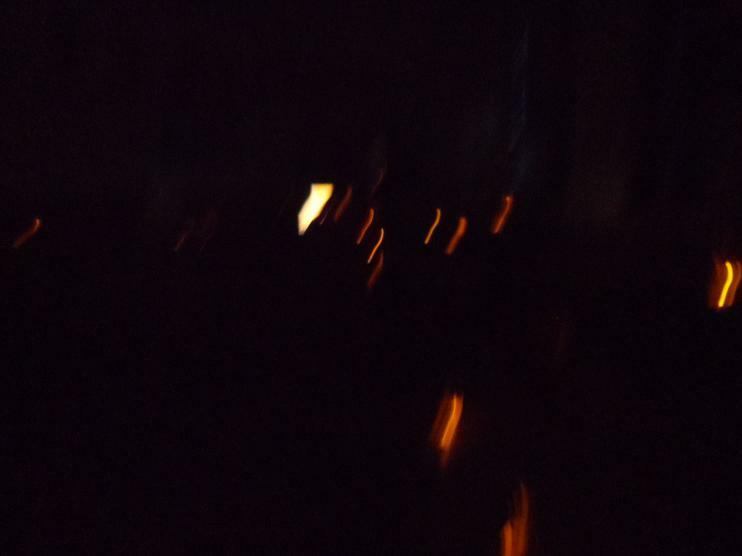 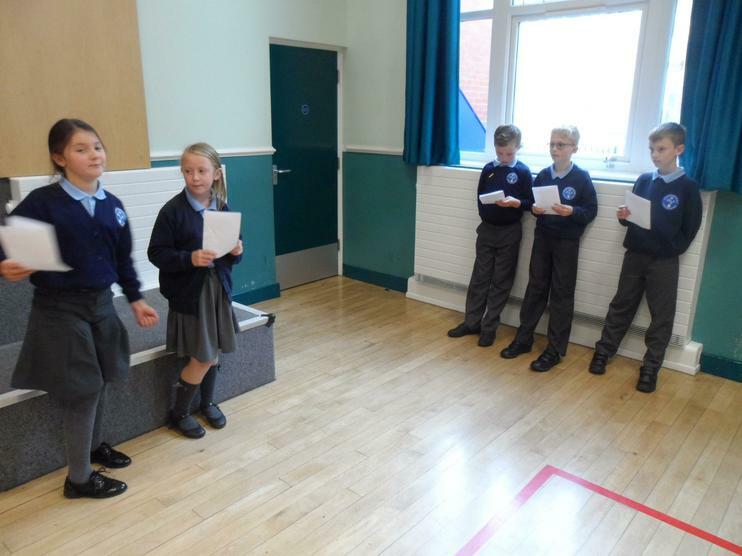 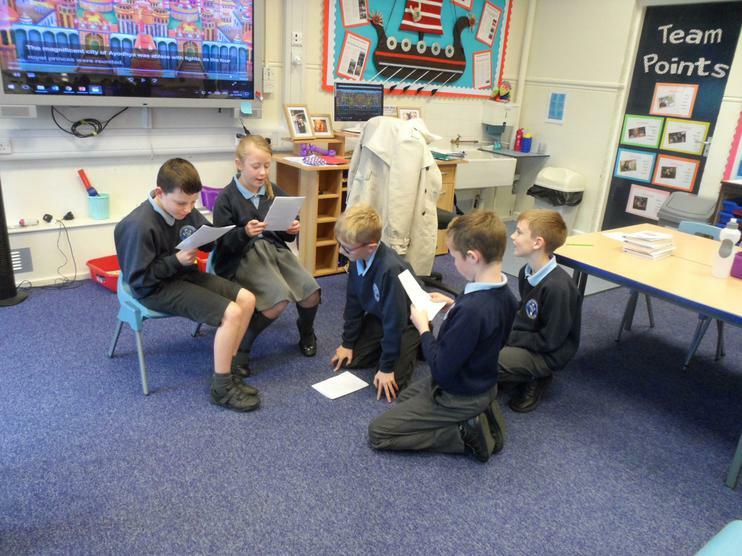 We were very theatrical and enjoyed watching and evaluating each other's performances. 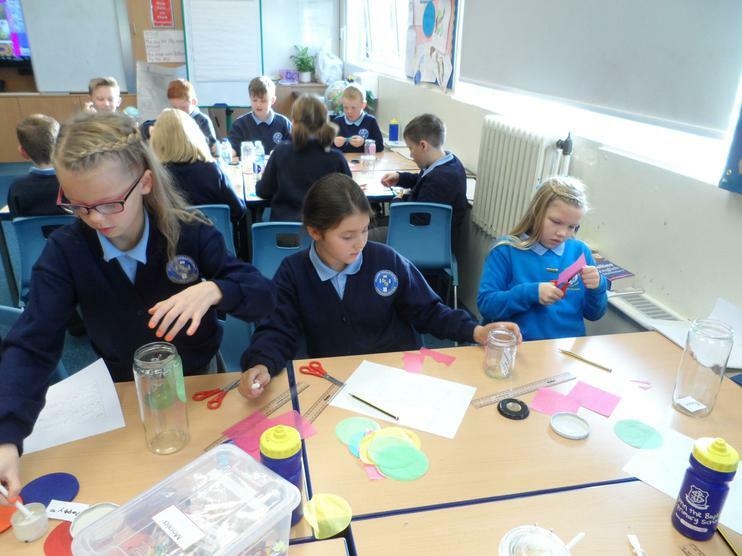 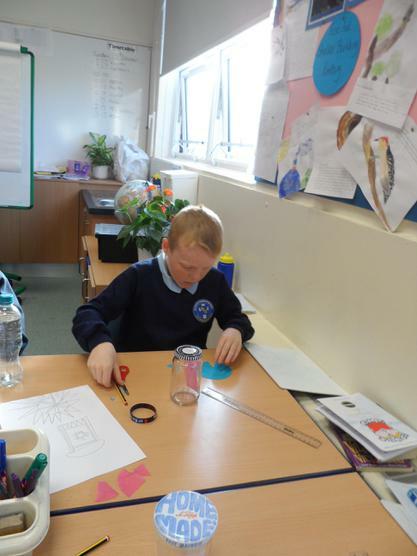 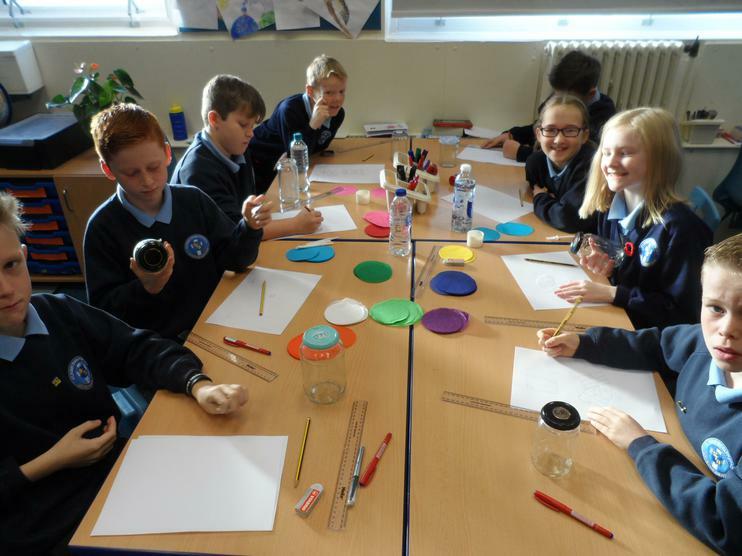 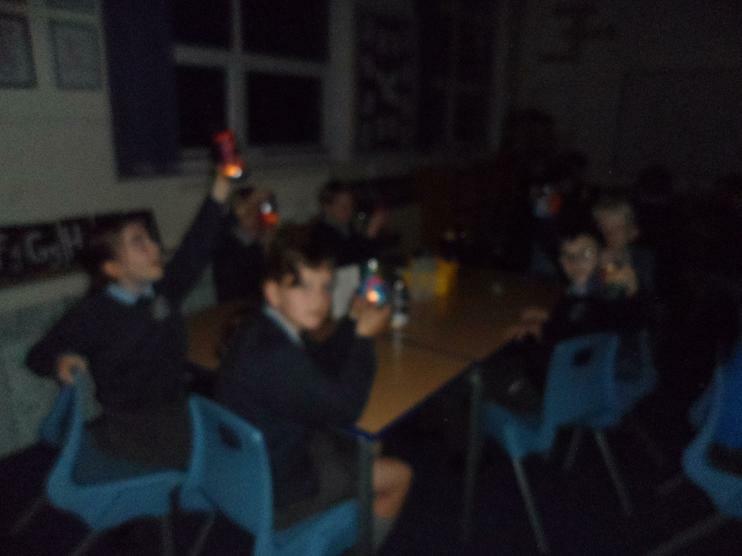 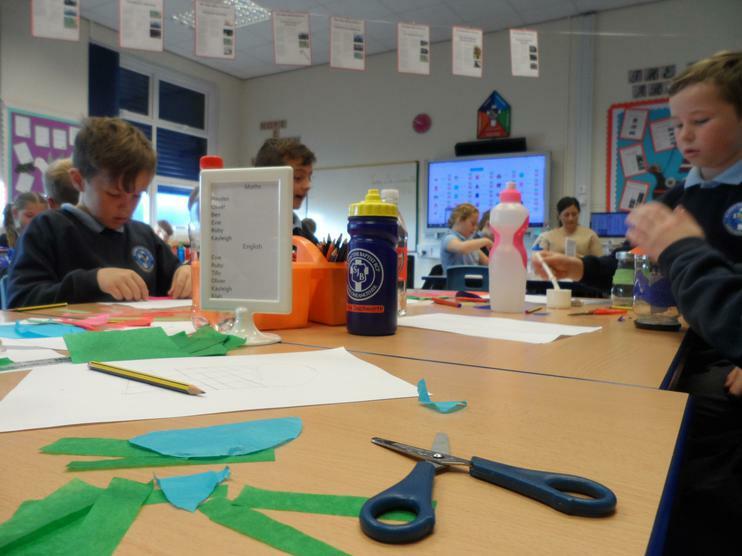 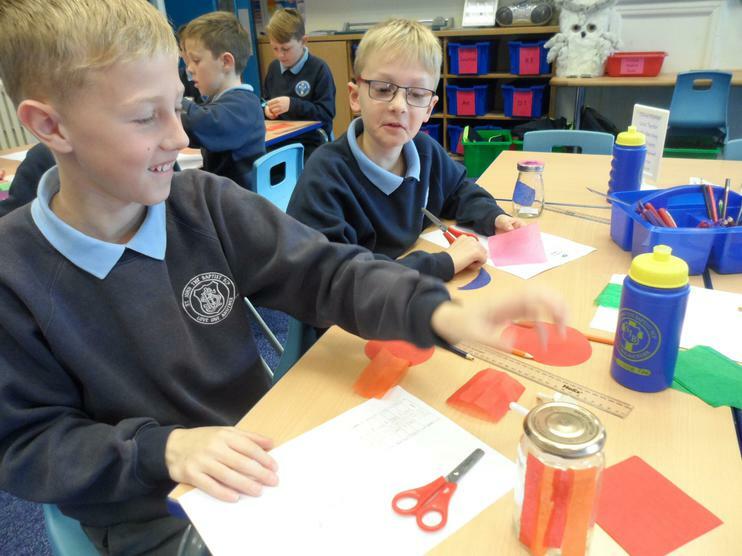 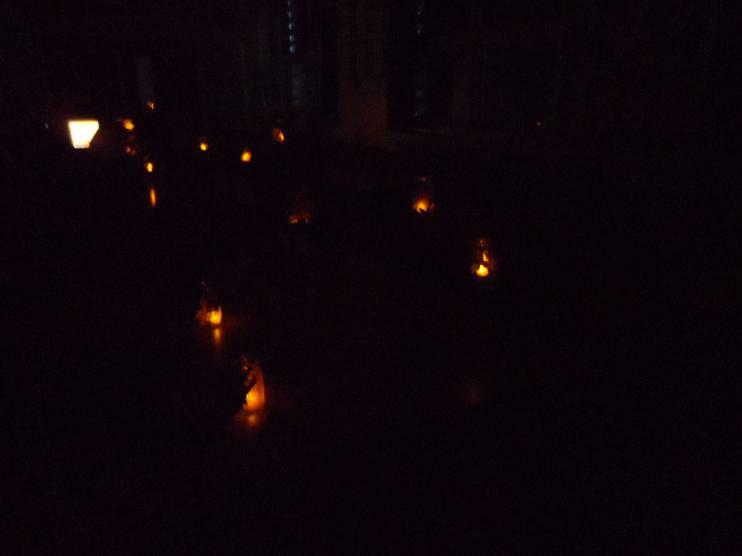 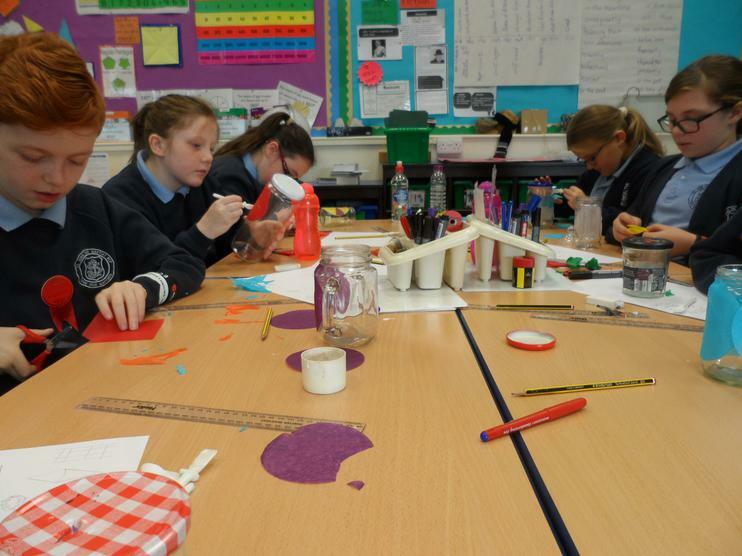 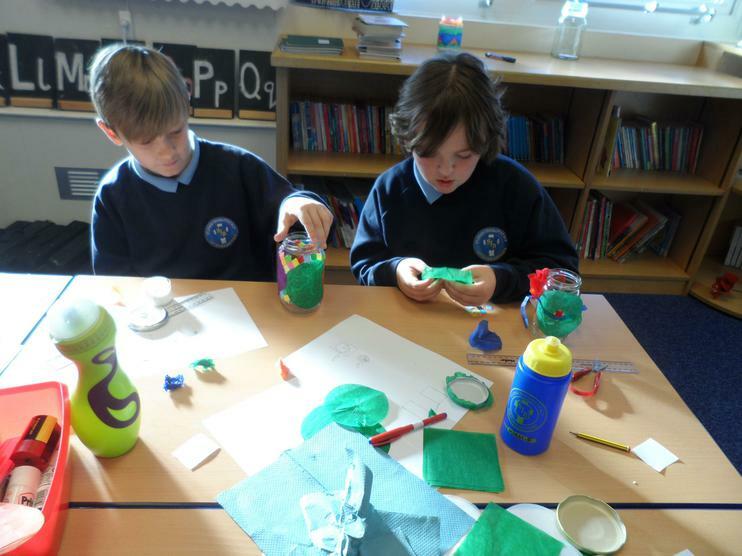 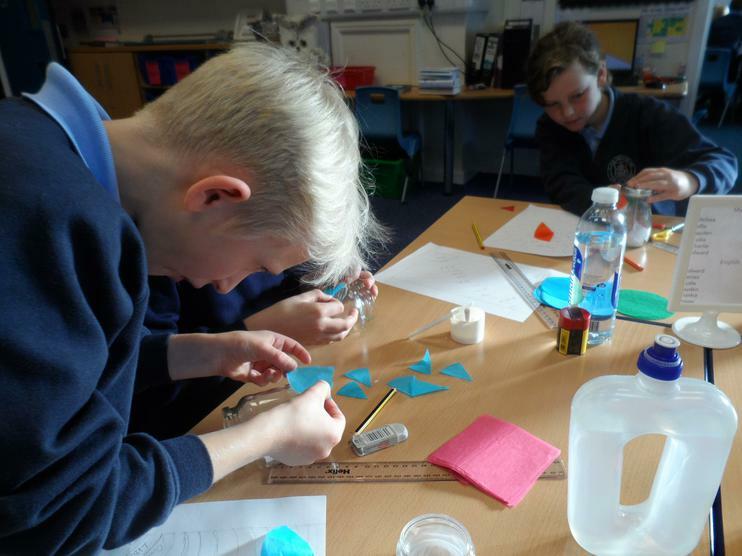 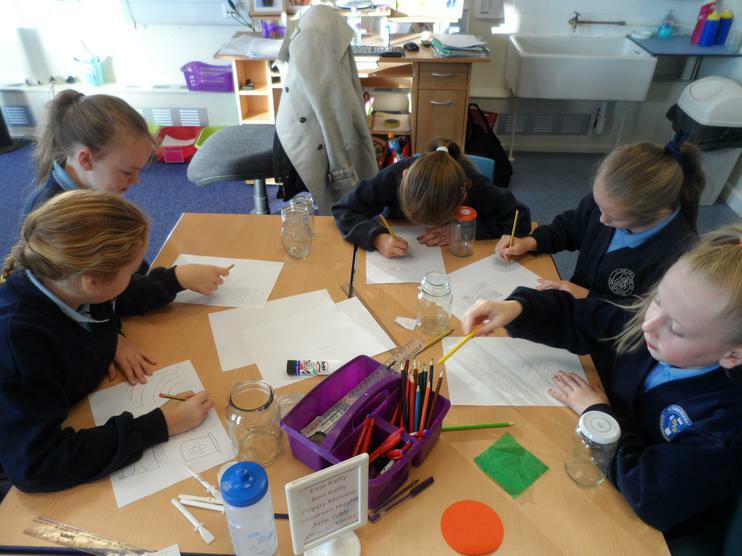 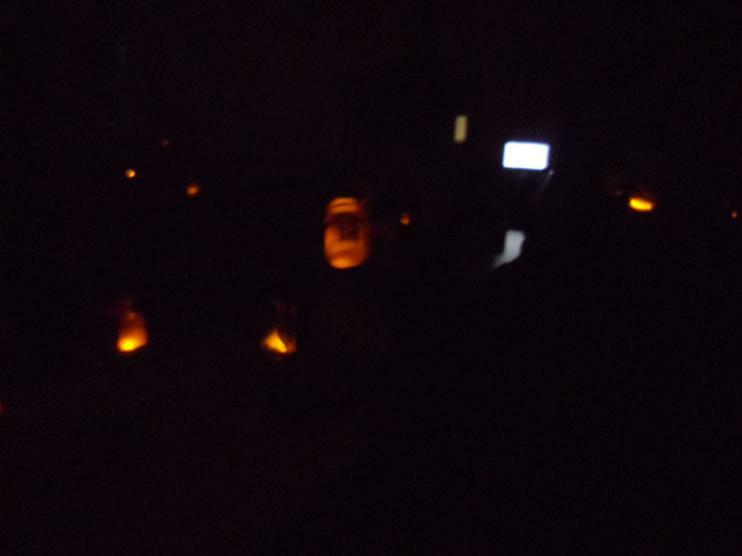 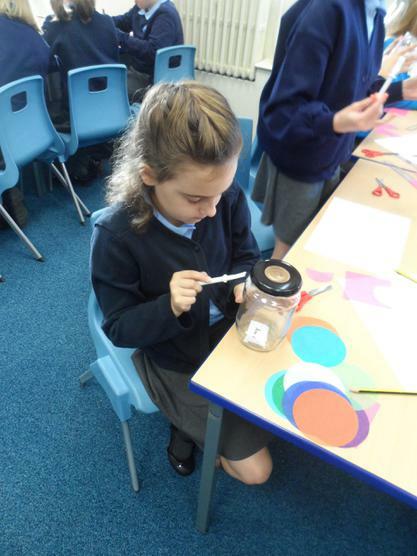 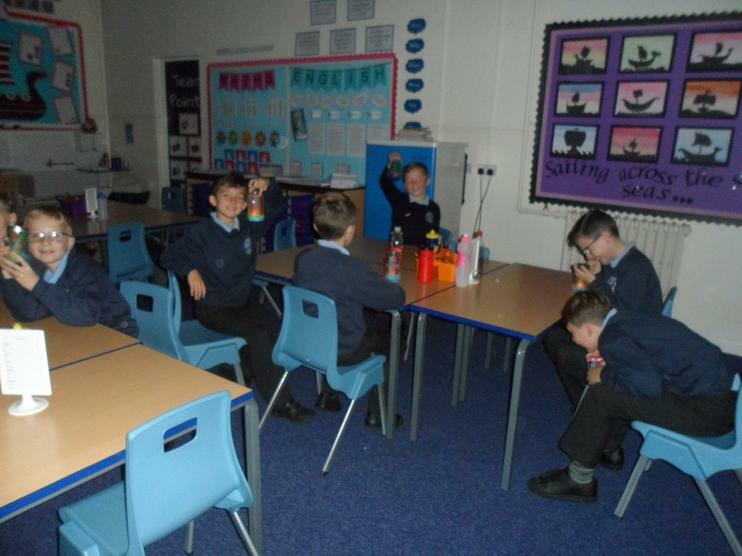 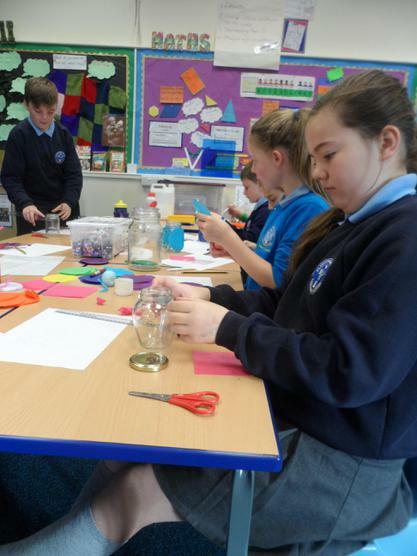 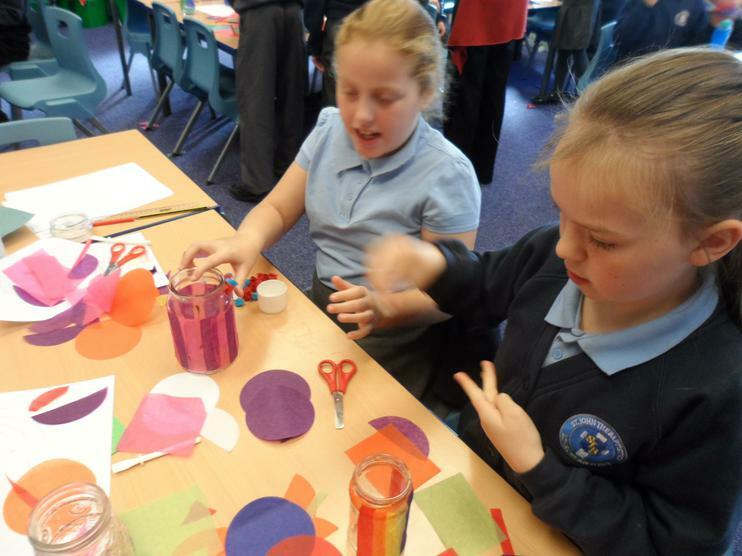 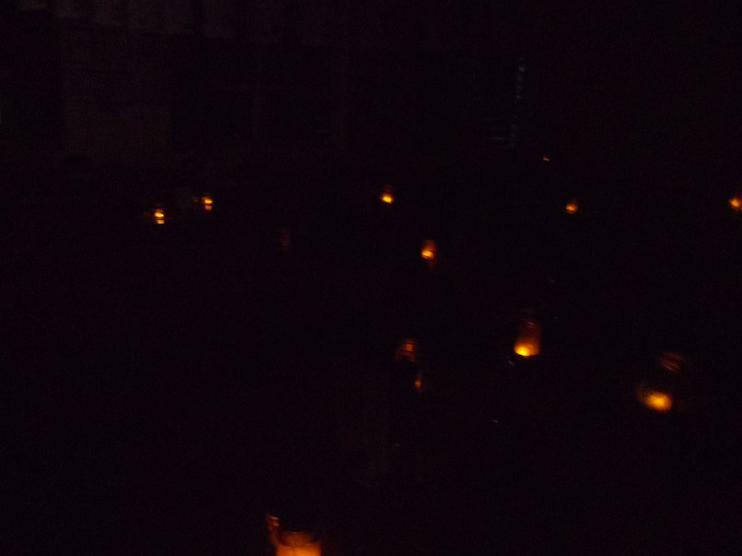 Year 5 and 6 worked together to make lanterns for our assembly on Friday. 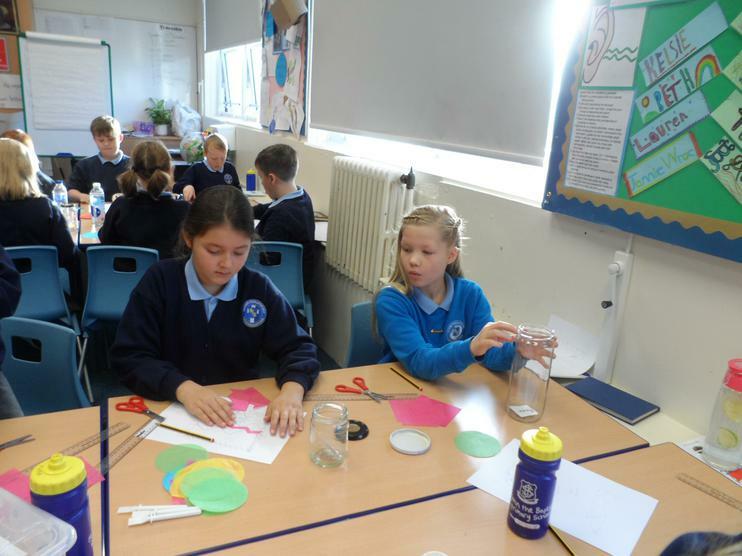 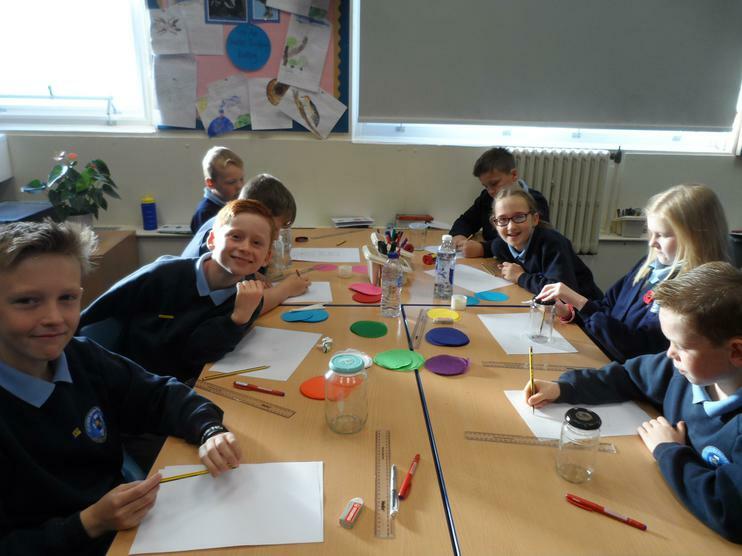 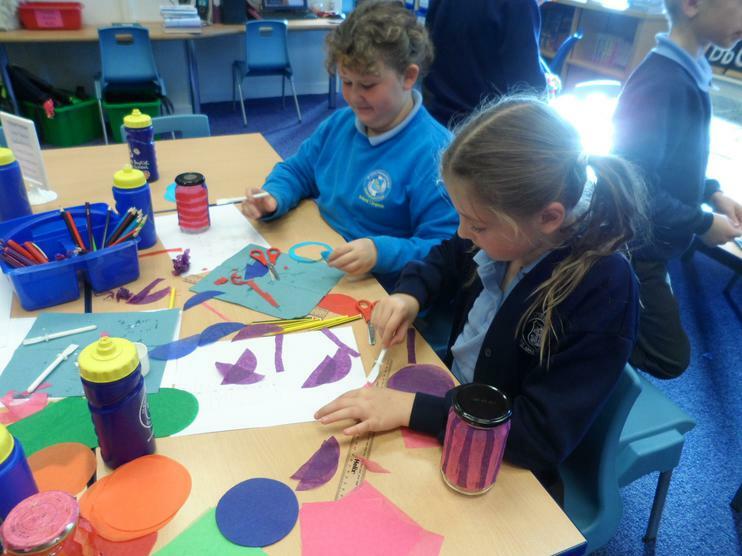 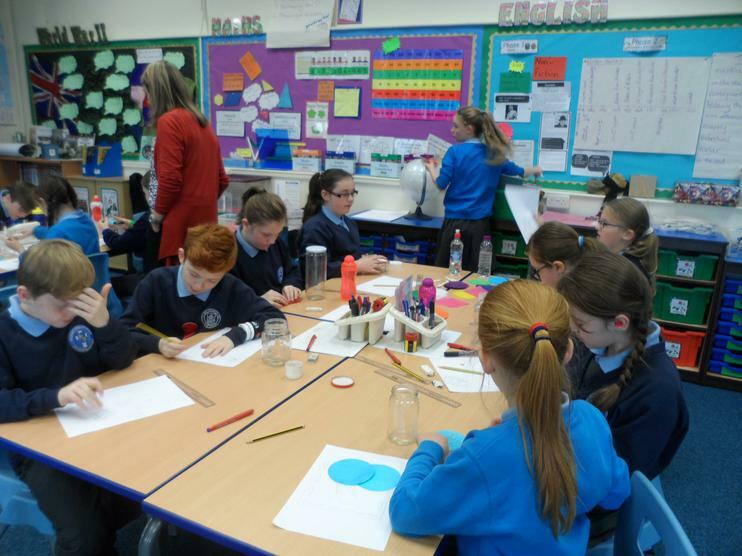 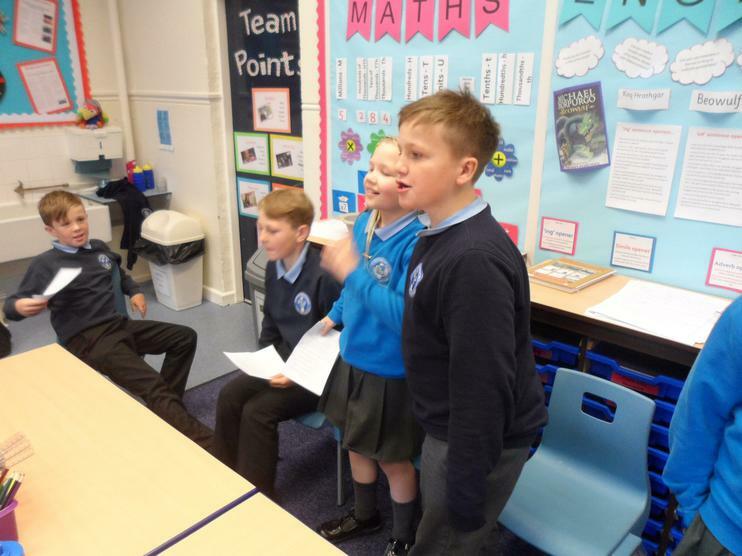 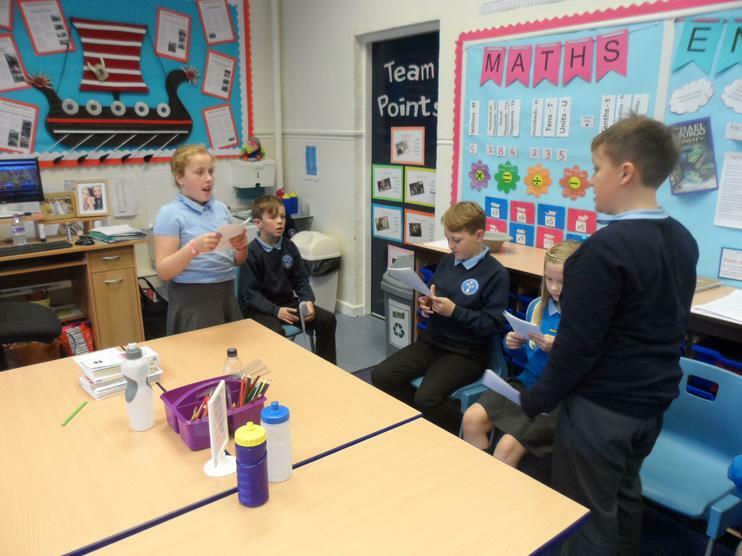 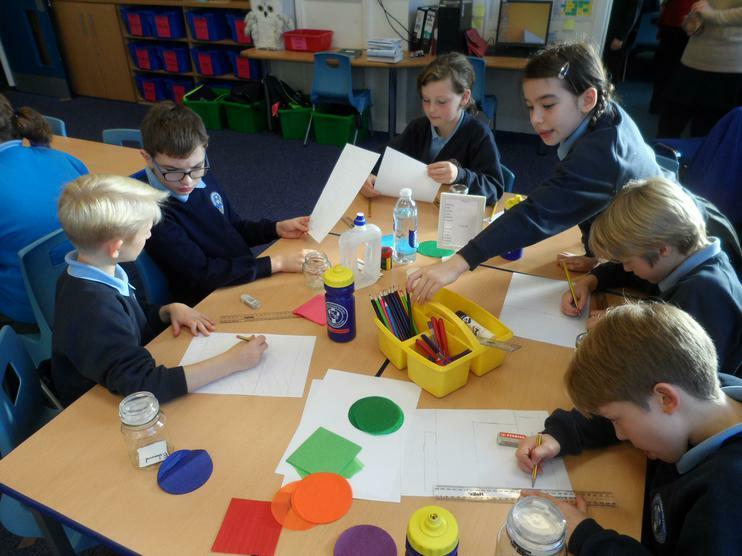 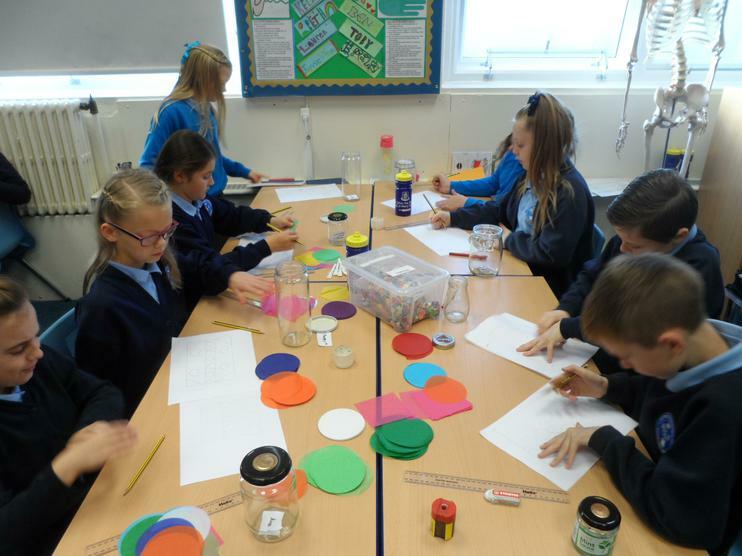 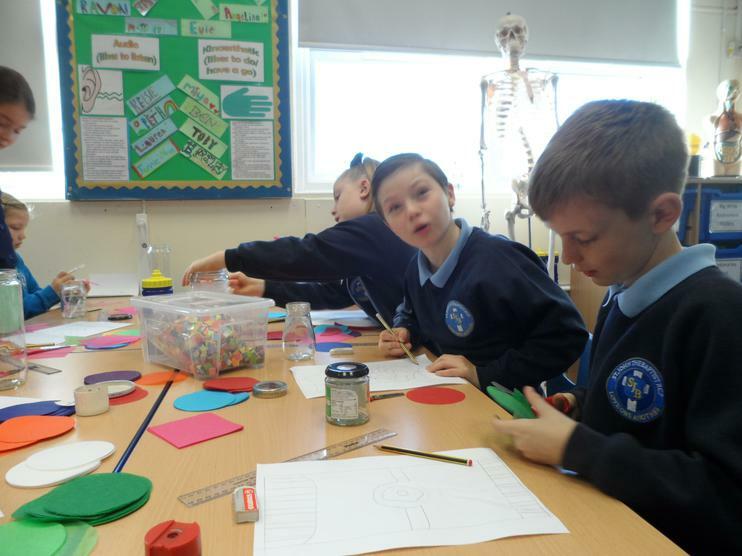 It was great for the children to work together and both classes were amazing. 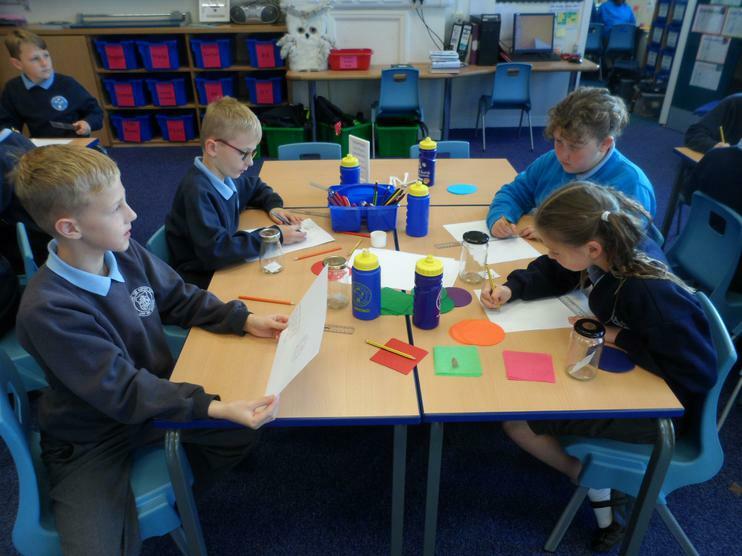 What a creative morning! 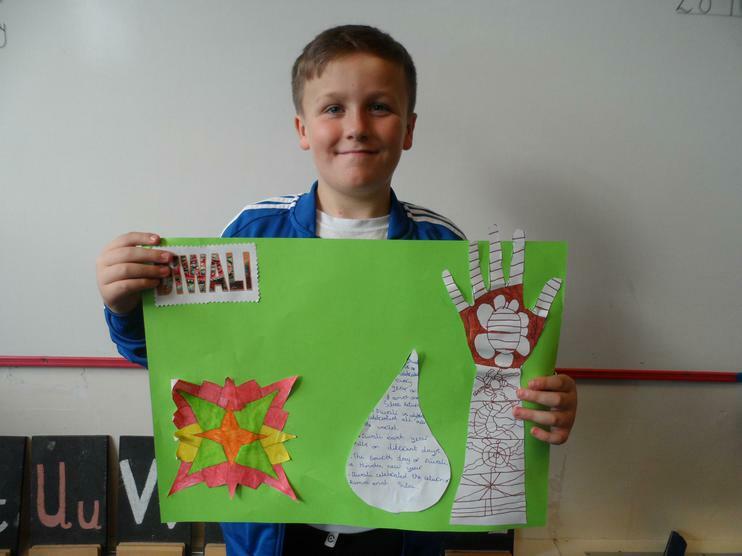 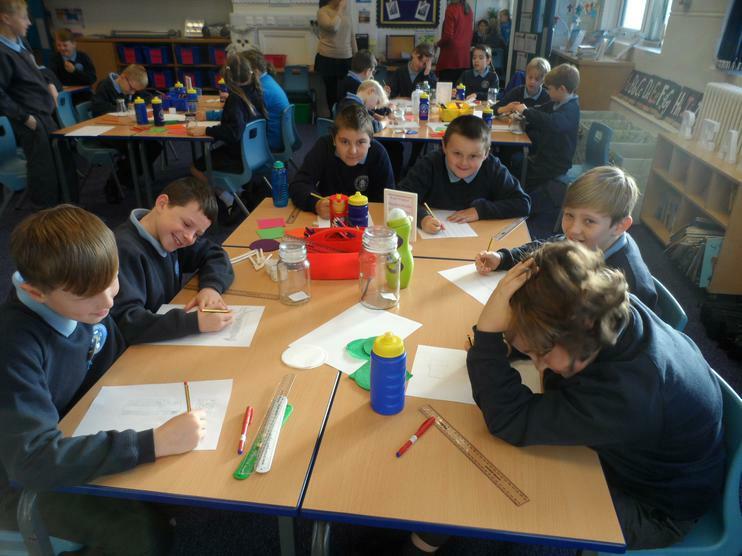 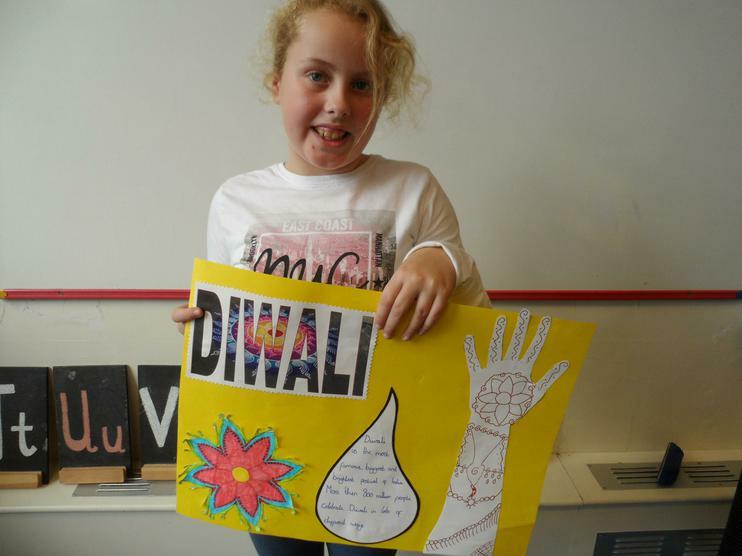 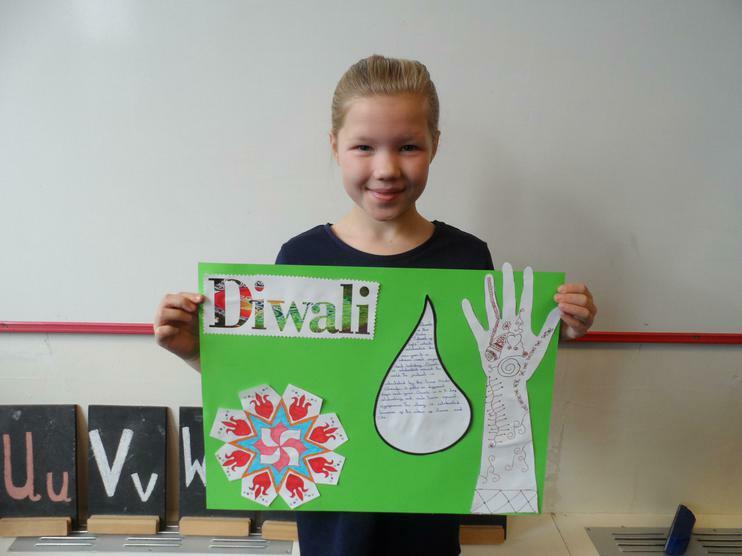 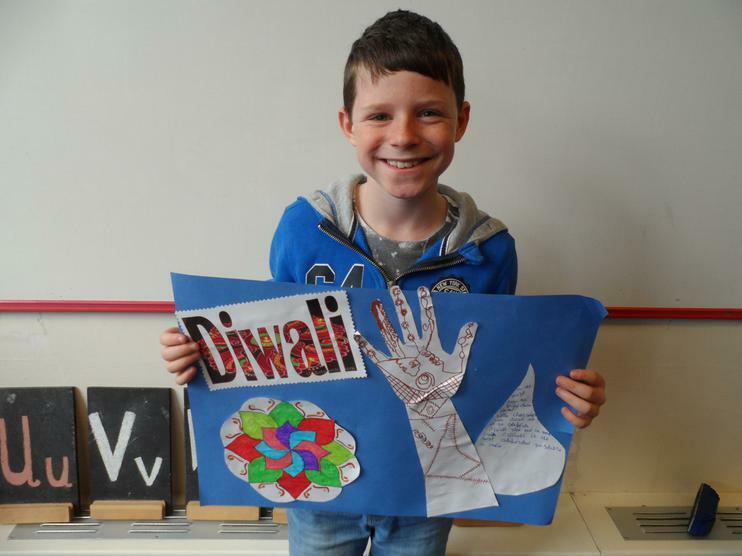 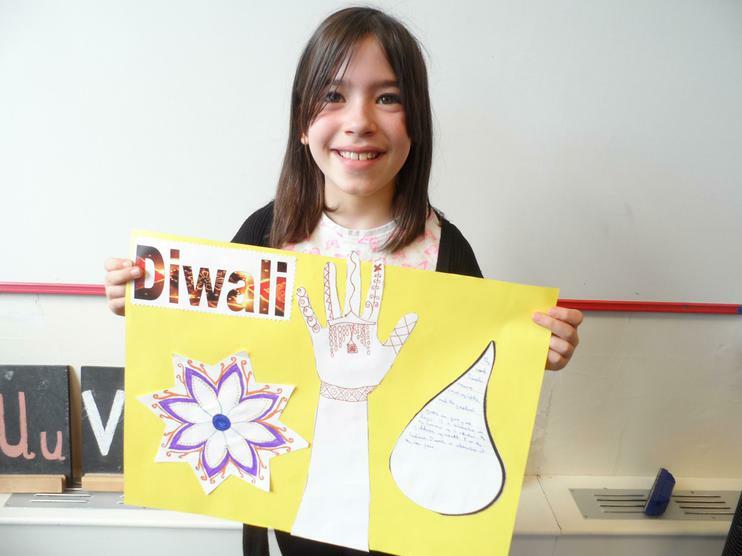 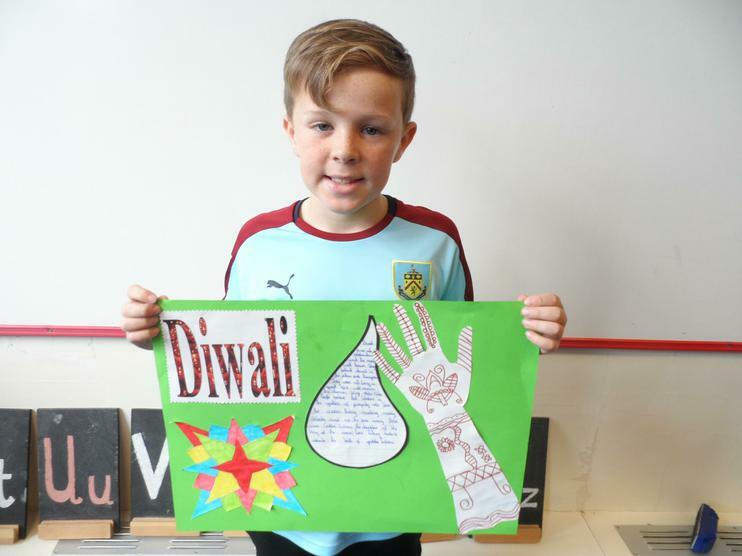 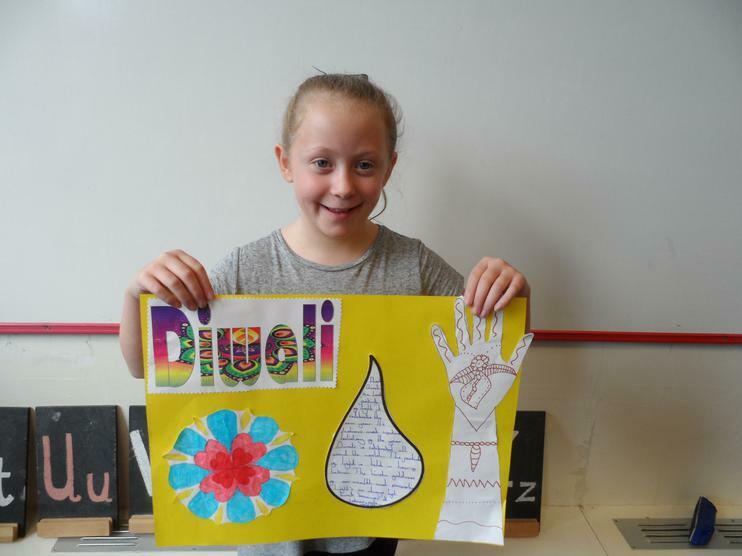 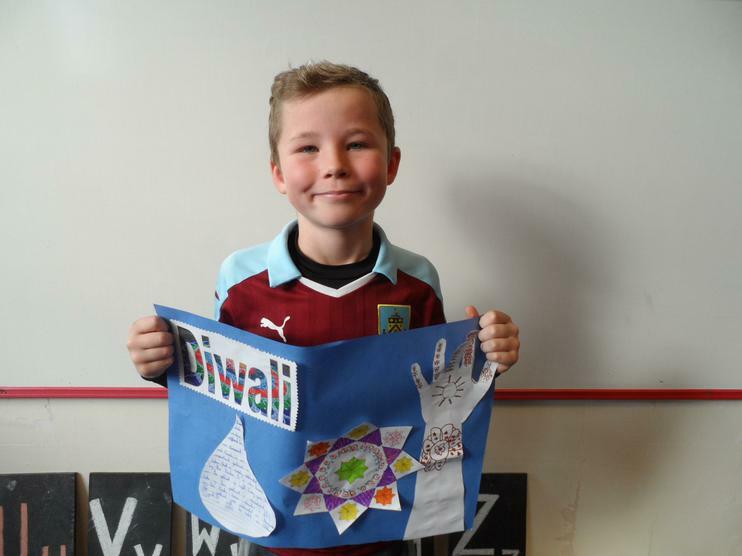 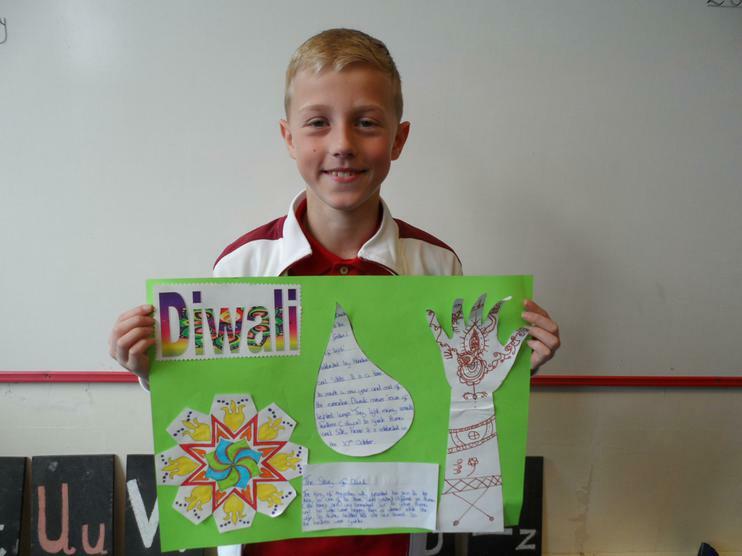 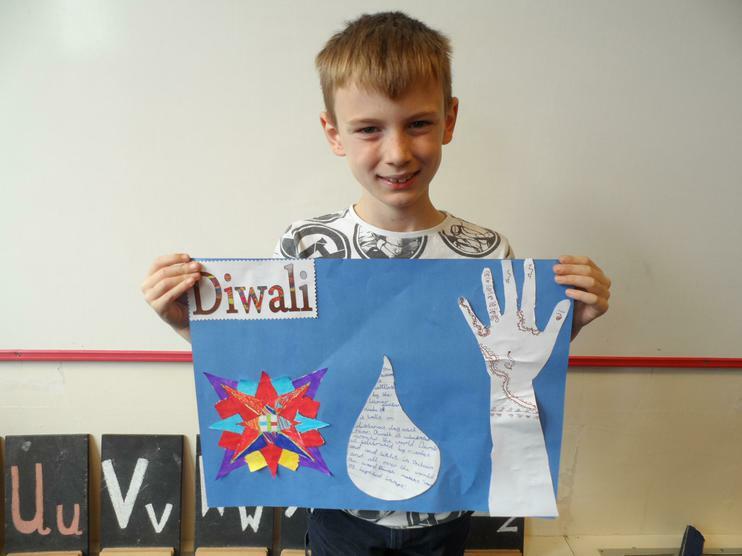 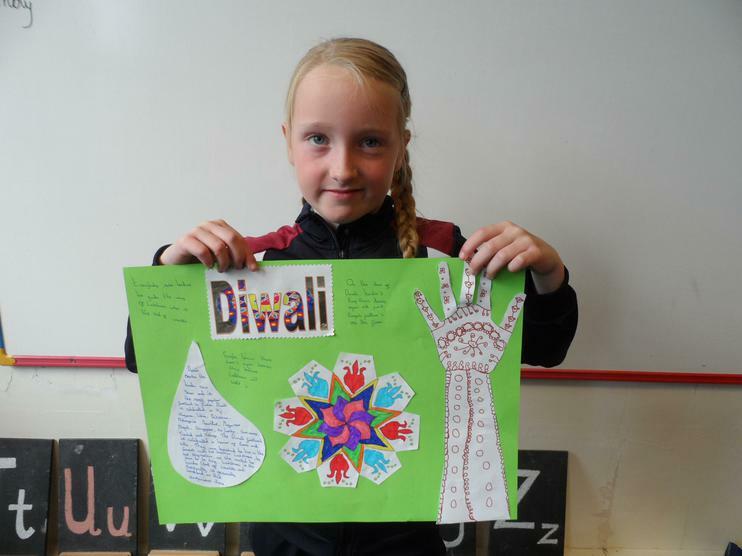 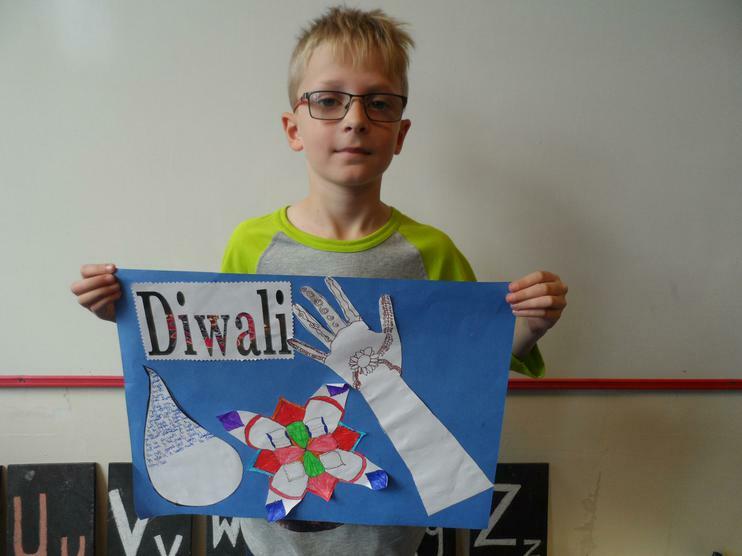 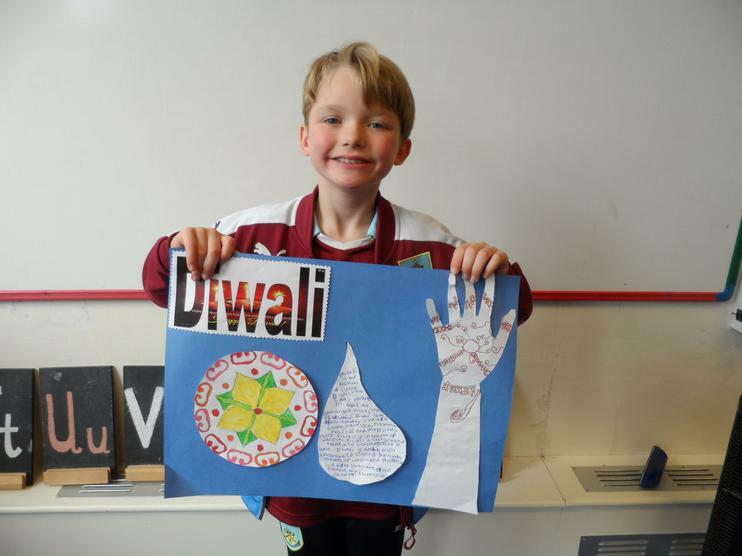 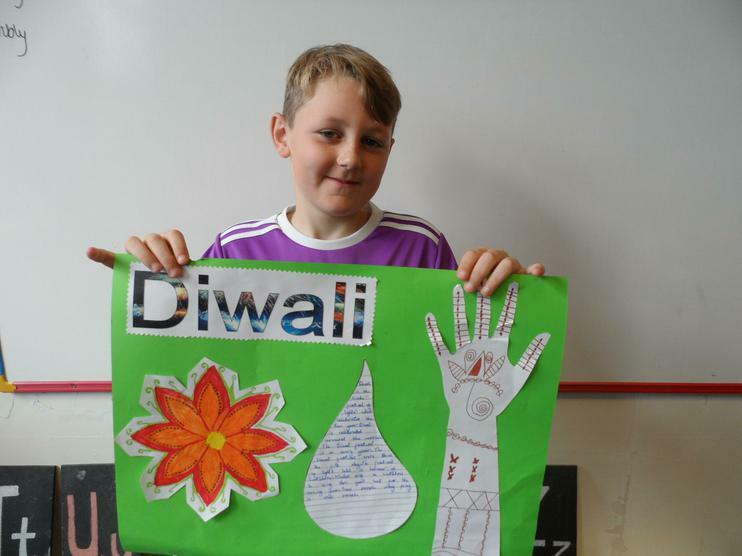 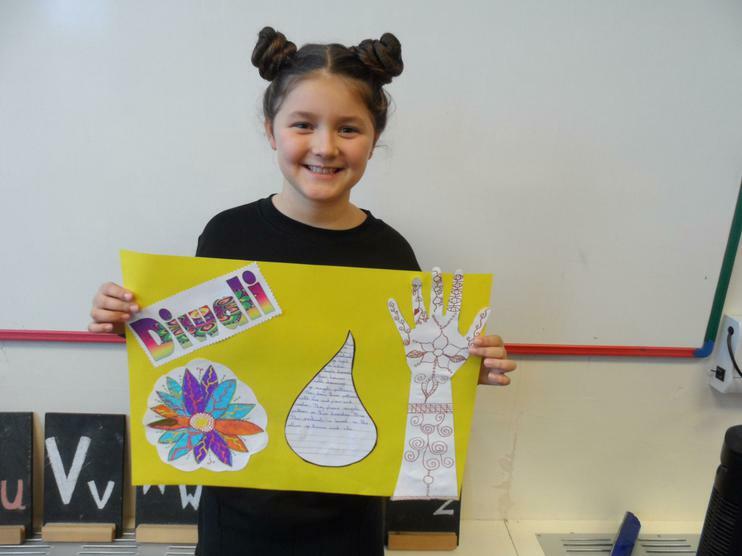 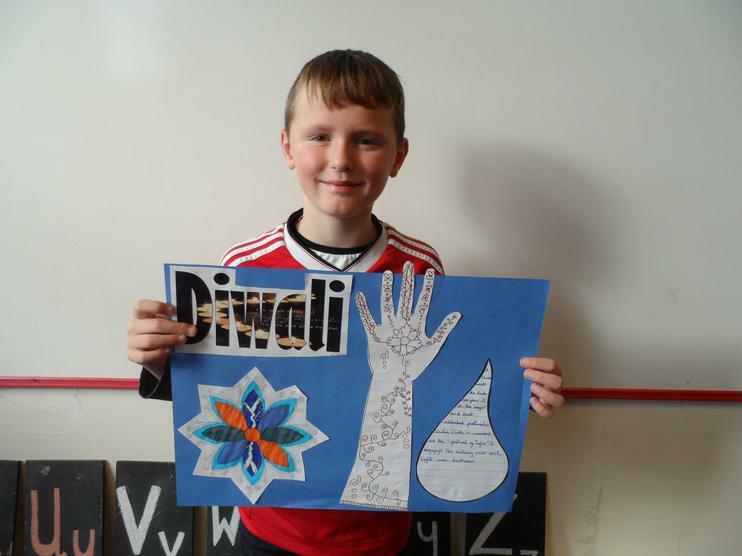 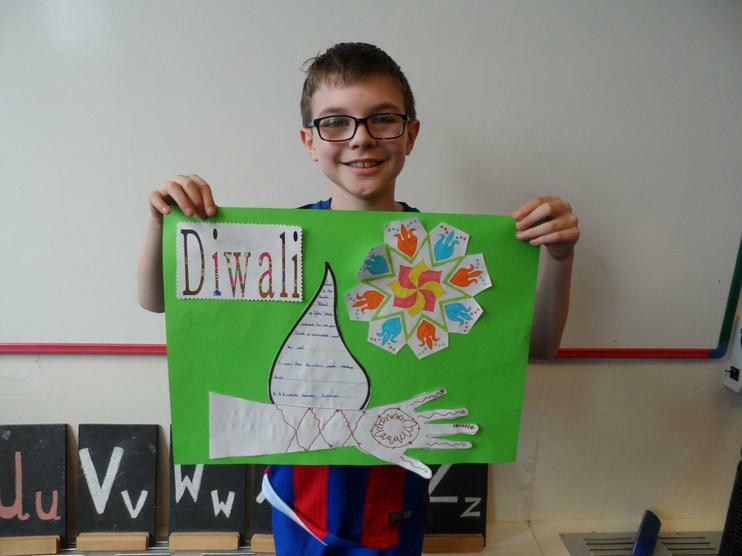 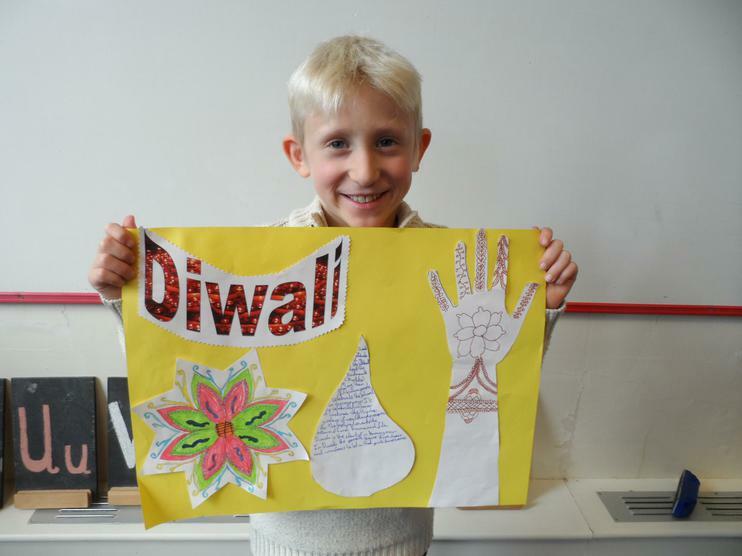 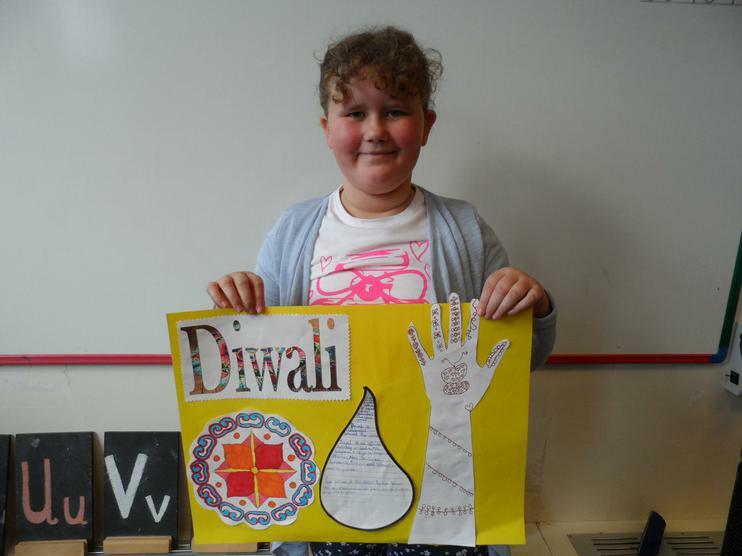 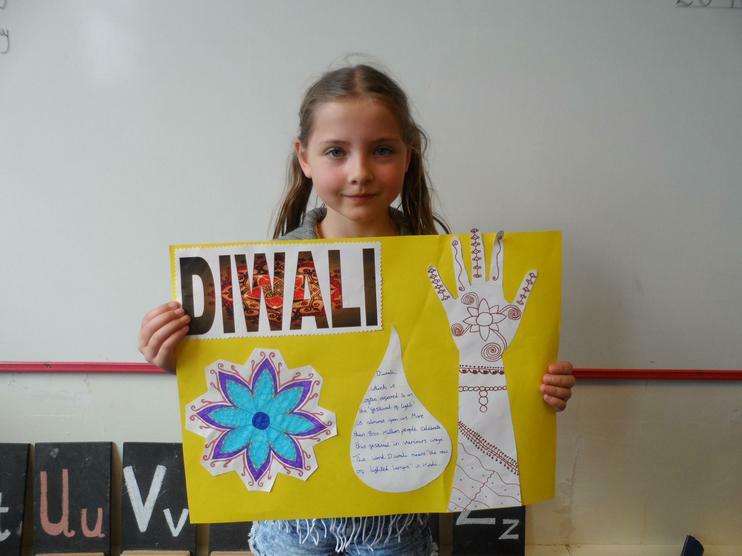 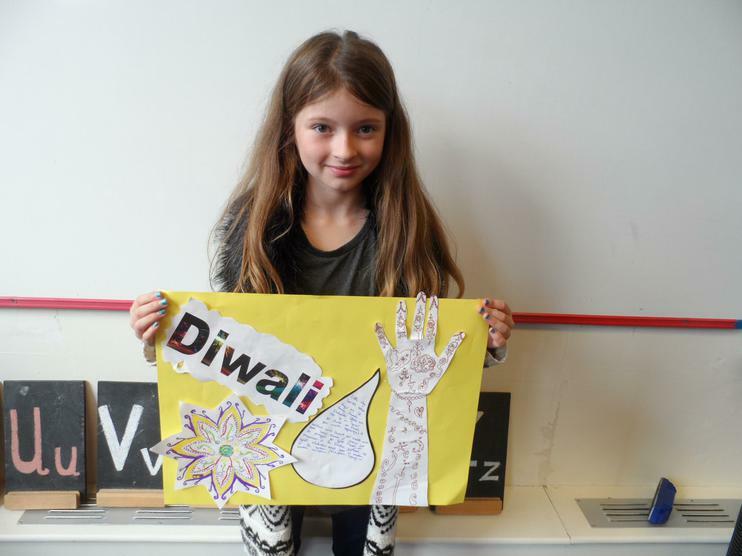 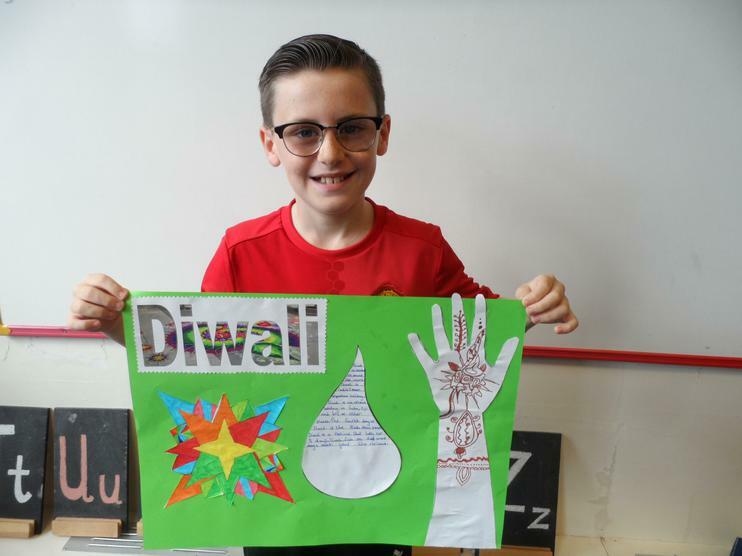 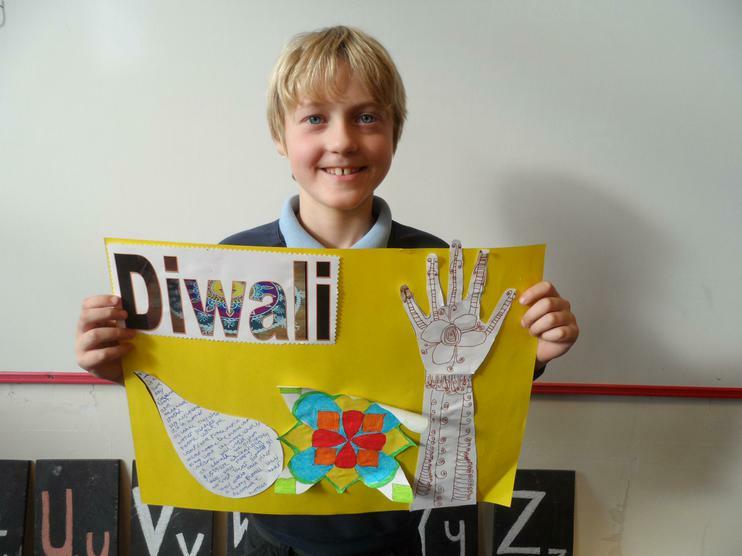 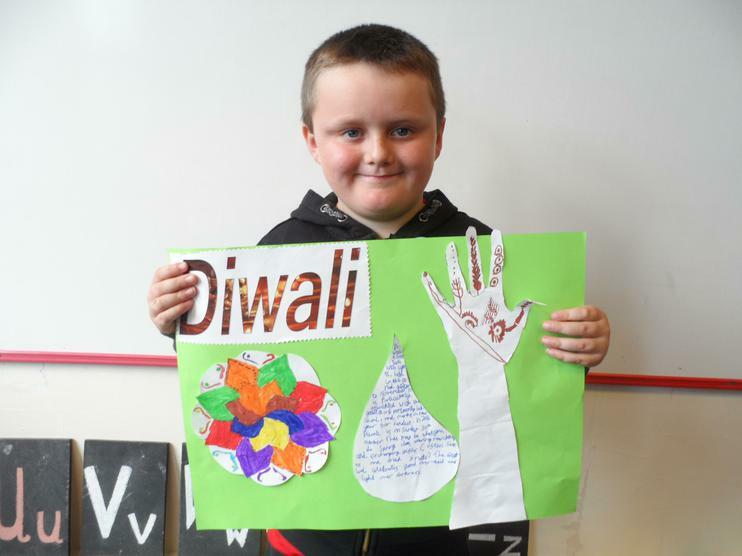 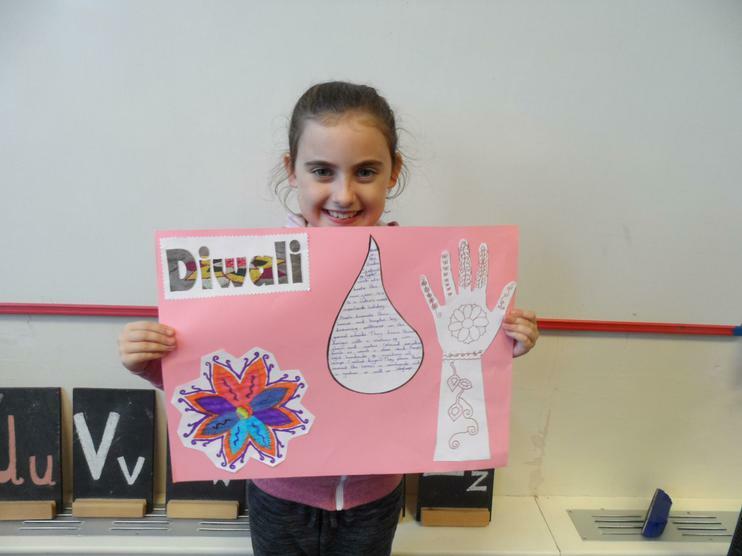 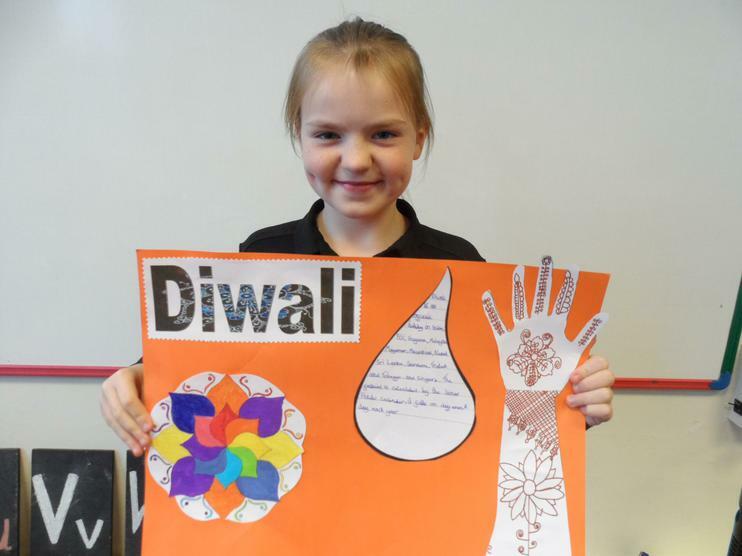 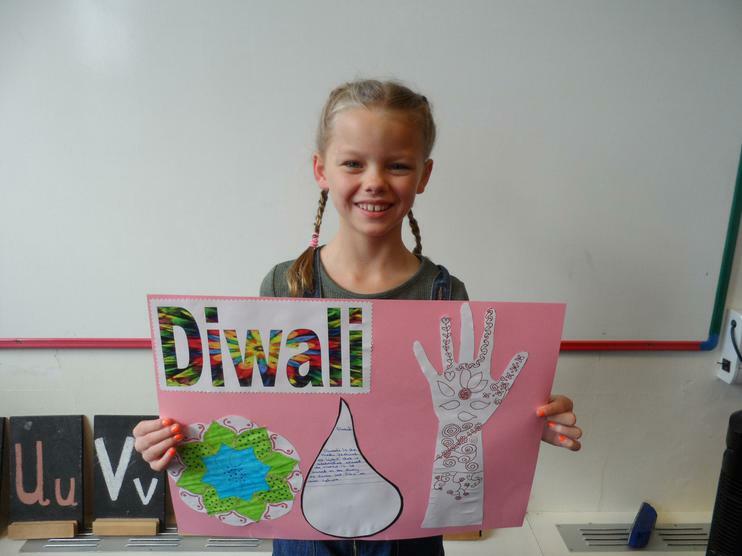 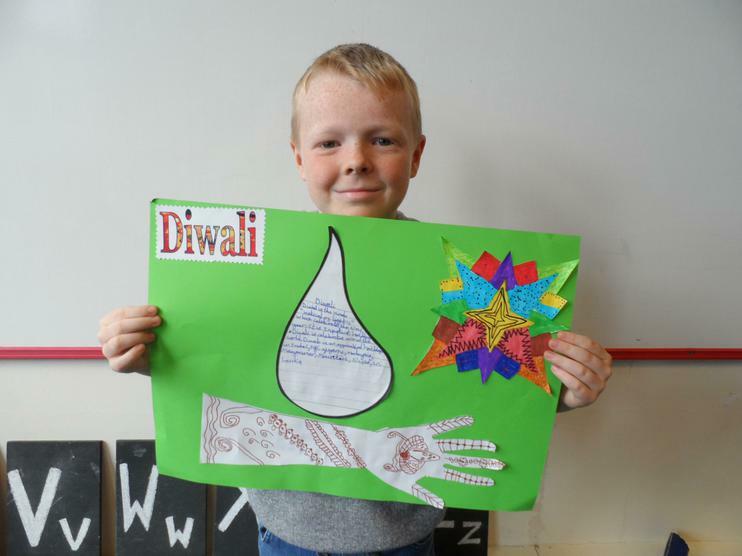 In RE we researched and wrote about Diwali. 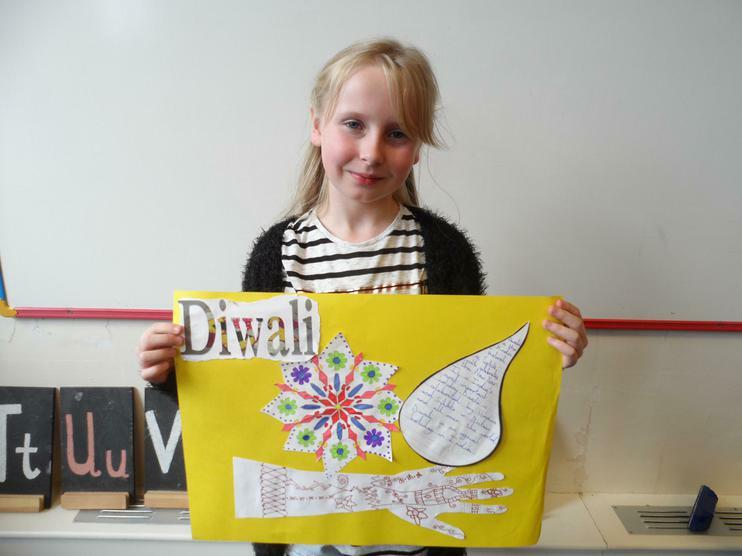 In Art, we created our own Rangoli patterns and Mehndi hand patterns. 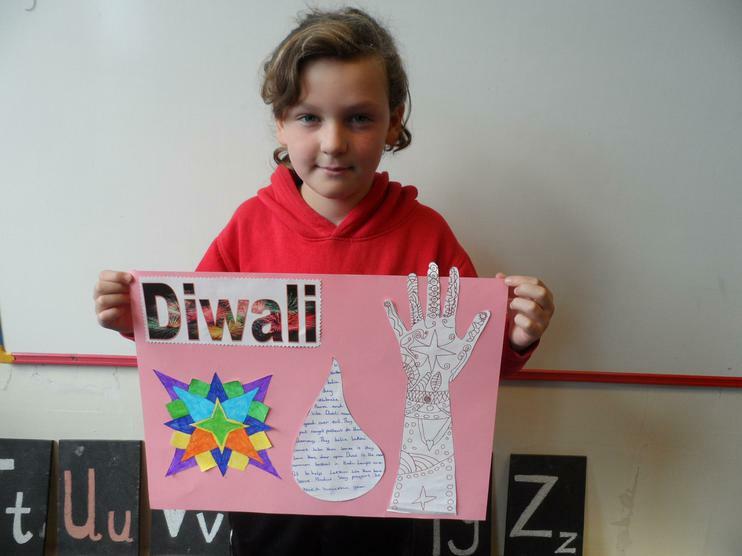 Our finished posters were fantastic. 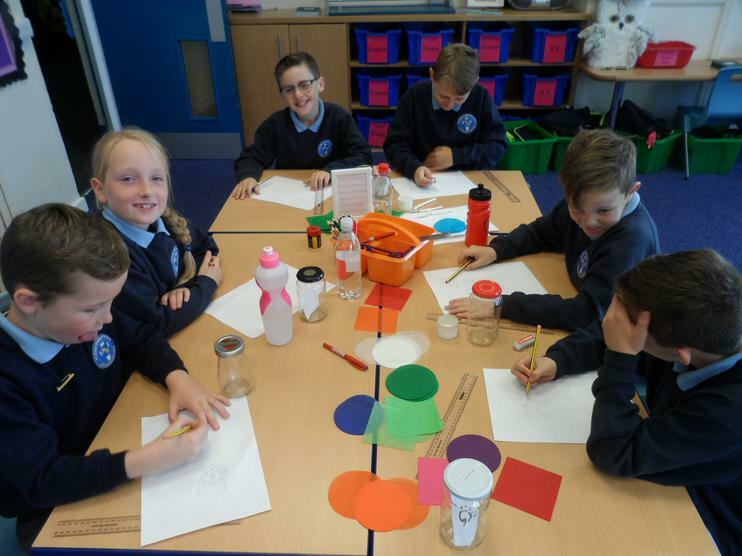 Well done Year 5 - a great week!